1. 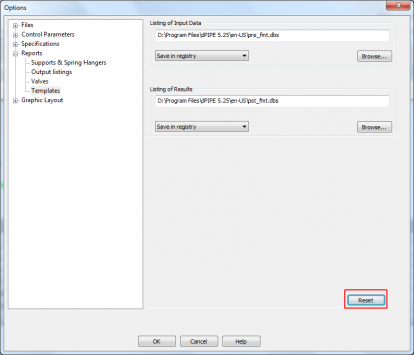 A bug in the module for the printout of the input data is fixed: the program crashed if in a set for dynamic calculations a comment was specified. 2. 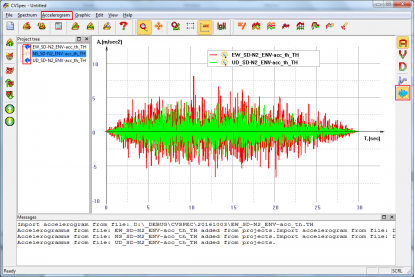 DCASE command: an option for use of the damping parameter and seismic motion duration is added. Applicable for some types of modal combinations: CQC/DSC in the frame of Response Spectrum Method. 5. Fixed a bug in the postprocessor module, resulting in the crash of the program when time history analysis has been used for small bore pipes. 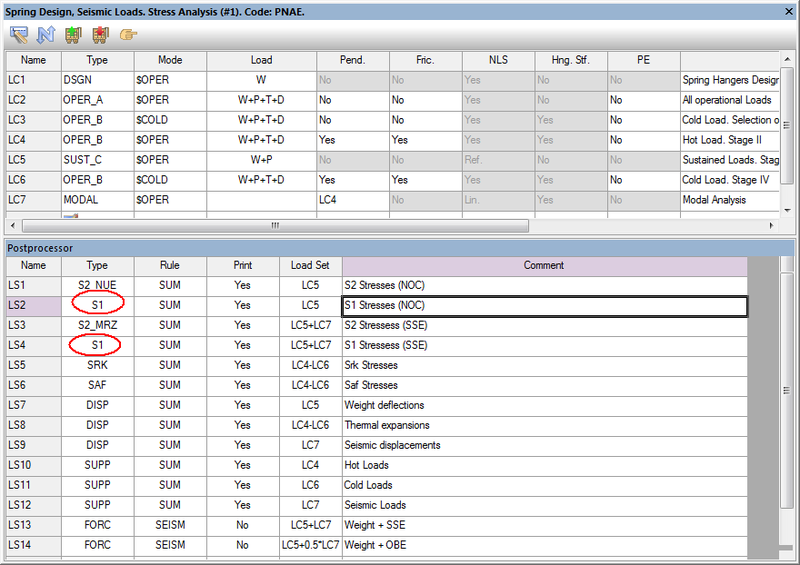 The tab with “Dynamic Analyses” has been added to the SOLV & POST specification window. 5. The rule for selection of Operational Mode compatible with the calculation of seismic stresses is changed: now it is taken from the reference of the first member in the load case combination used as a reference for seismic stresses. 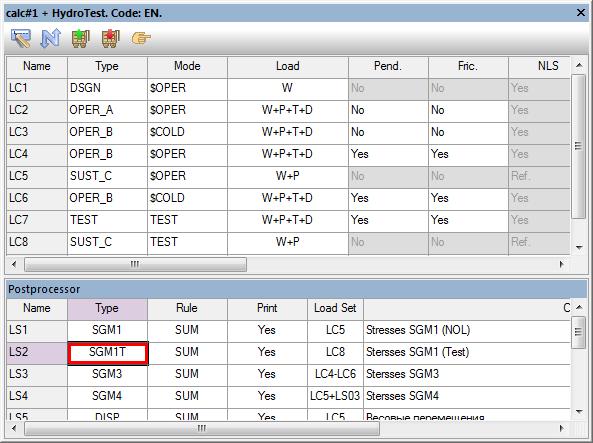 The previous approach used operational mode defined for the modal load case. 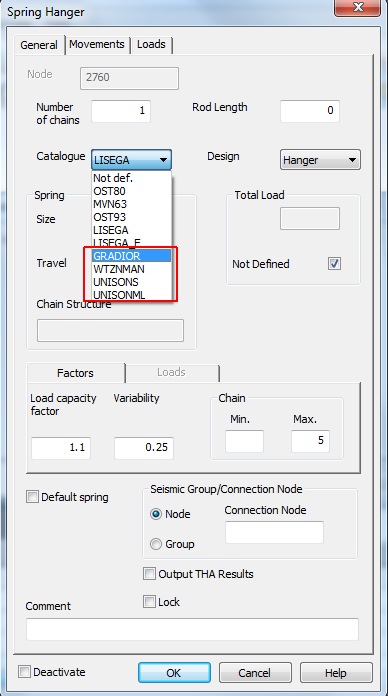 This change may be useful for load combination Abnormal Conditions + Seismic Load. 13. Processing of the old TEE command is fixed for EN code. 2. In the "Help" menu item added "Tutorial"
5. 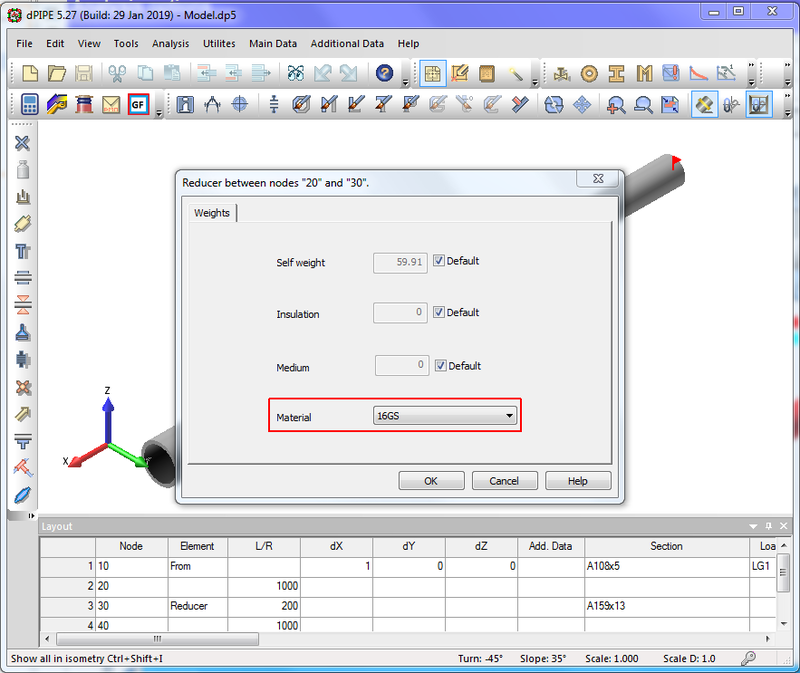 Modeling of 3Way Valve is added in the User Interface. 9. 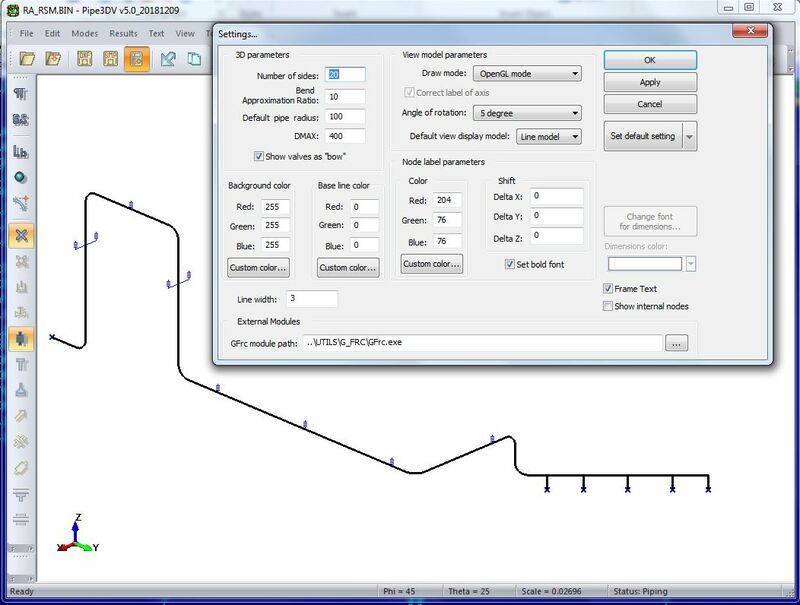 The size of arrays for the ultimate and yield stresses (SU&SY) may differ in the material table. 11. 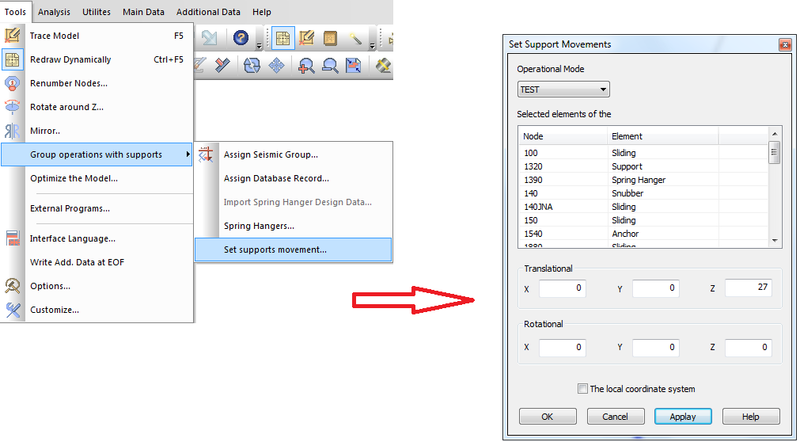 An additional check is added for the prevention of assigning any of “External” data for the internal nodes of the valves (except for supports). 1. 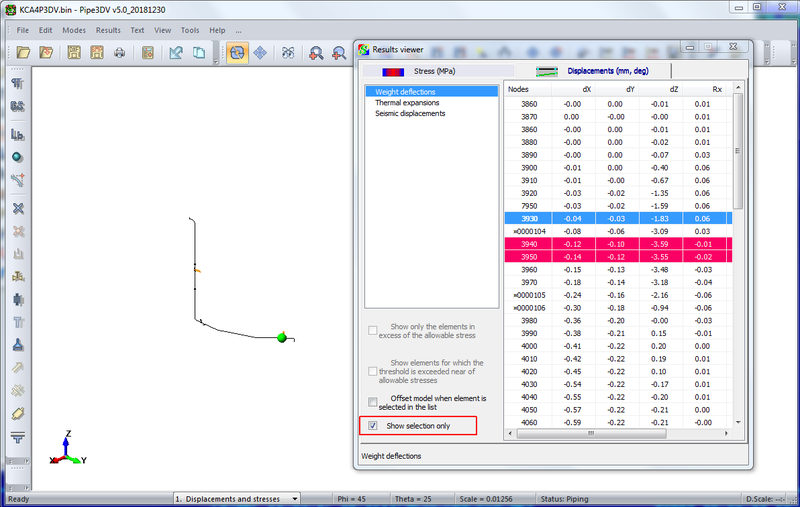 Graphical presentation of stresses in the area of tee joints/branch connections has been improved. 2. 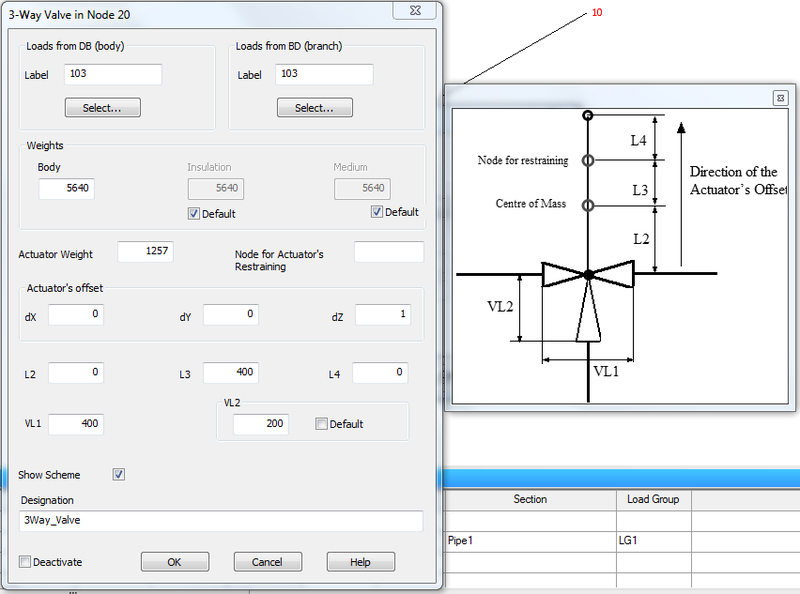 Option for the thickness of the line to draw the "wire" model is added. 4. Fonts used for dimensions may be modified. 7. 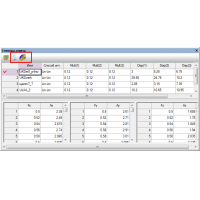 Results in the Table may be shown partially depending on the visible parts of the model. 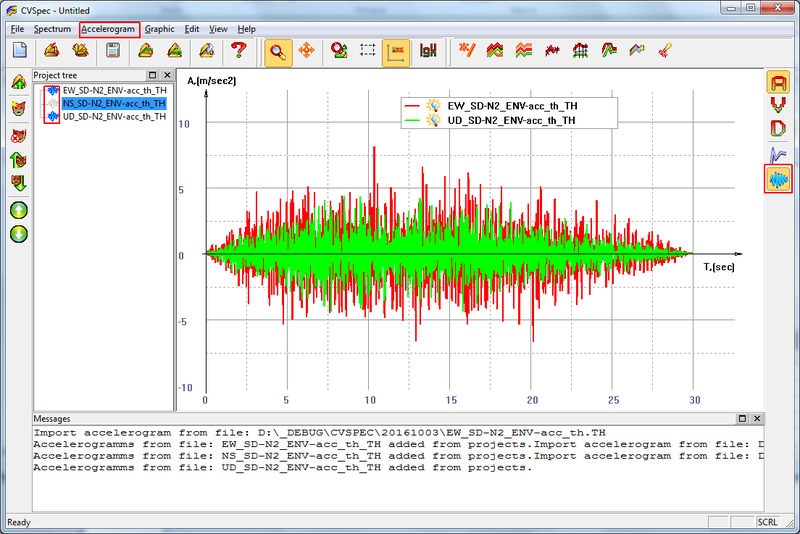 New release of CVSpec software is issued. 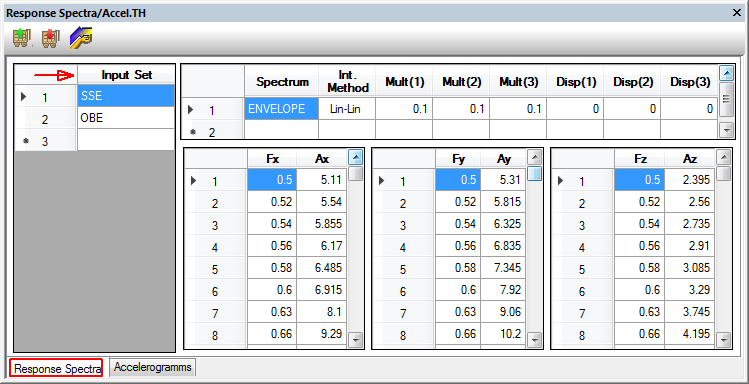 Starting from the current release, CVSpec has gained a new functionality: generation of the accelerograms from the response spectra. 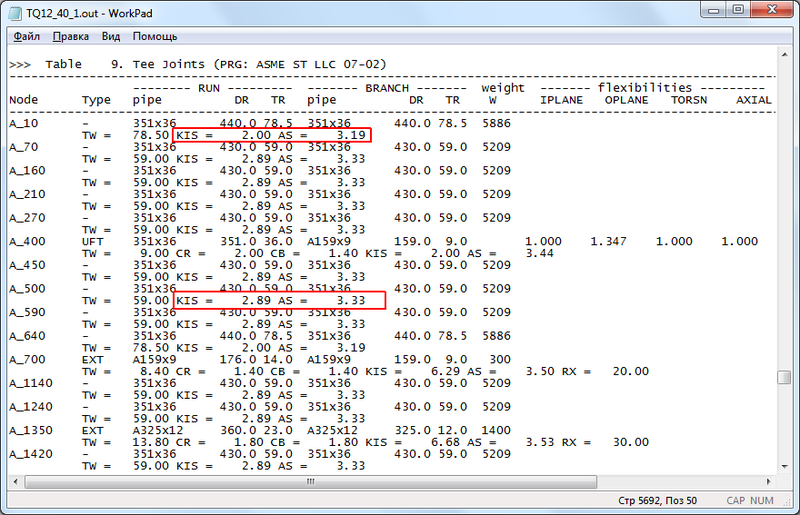 the program name has changed: CVSpec-TH. Please, be aware that we stop distribution of SINTEZ-M and will not conclude new contracts for its technical maintenance. All companies that have purchased the program and are under maintenance will be provided with the appropriate number of copies of the CVSpec-TH program, and our commitment to maintaining SINTEZ-M will be transferred to CVSpec-TH. 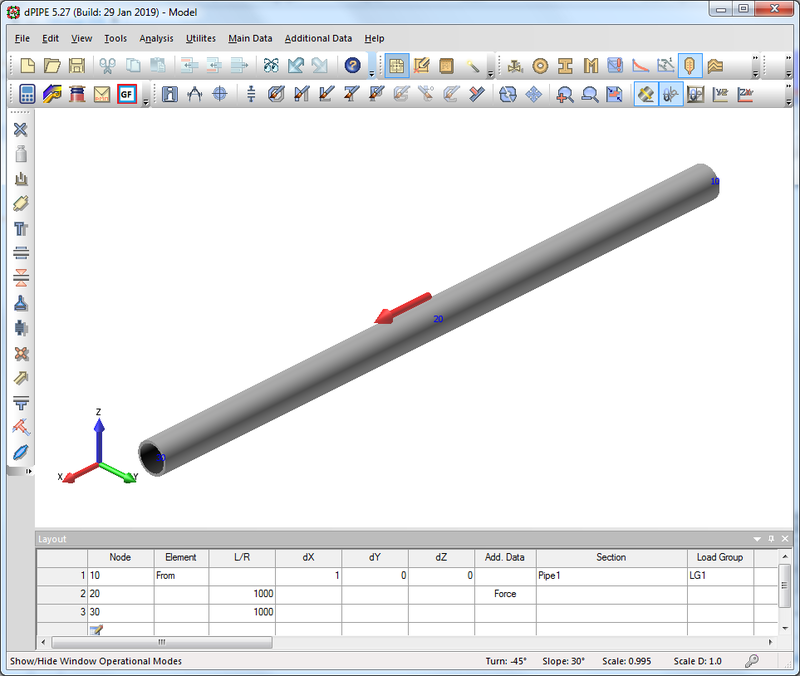 The results obtained by means of G-Frc could be used for the consequent piping dynamic analysis and also for the jet impact evaluation on the surrounding structures and estimation of their protection feasibility. The code is based on the analytical model presented in American National Standard ANSI/ANS-58.2-1988 "Design Basis for Protection of Light Water Nuclear Power Plants Against the Effects of Postulated Pipe Rupture". pipe ends limited separation at the rupture is provided by the special flow limiter installation on the place of the pipe potential rupture intended for the medium flow rate reducing out of the rupture. Pressurized water with the temperature less than 100oC. Two last-mentioned types differ by their ability to flash just at the rupture area. the target surface is significantly larger than the jet cross-section at the area of the jet impinging on the target, that is the jet impinging spot is totally disposed inside the target surface. 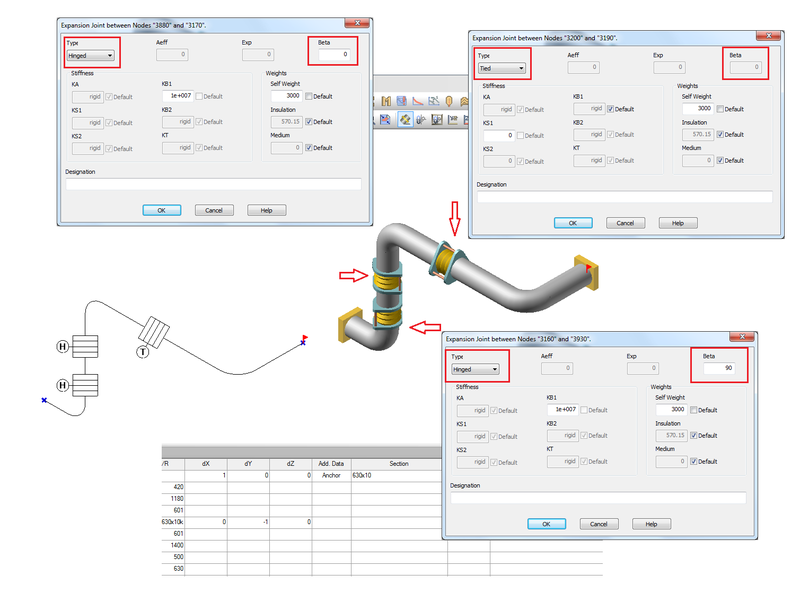 G-FRC can be used independently or being incorporated in dPIPE software. Use of the program requires the protection key. This analysis is available only under nuclear codes: PNAE or ASME NC/NB. 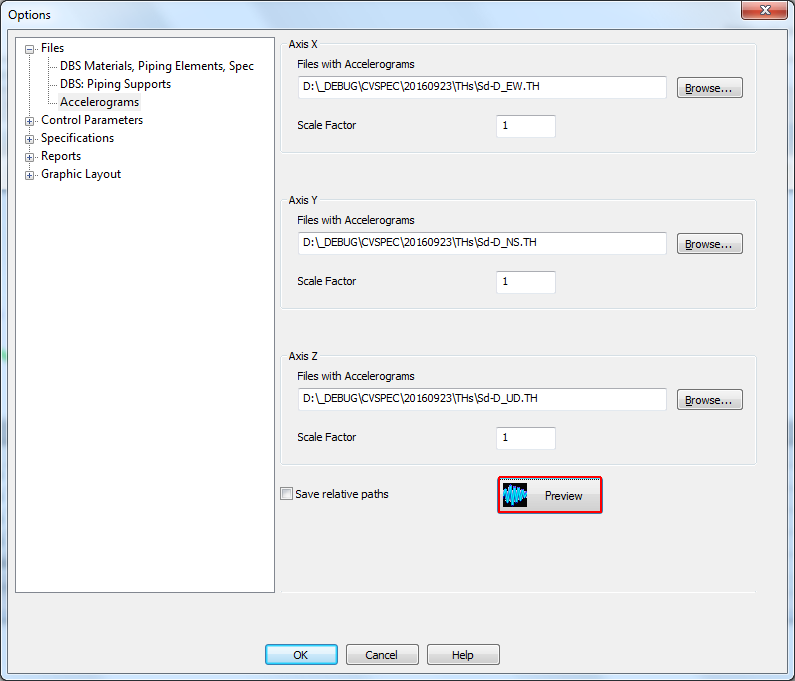 Activation of this option requires special licensing. Activation of this option requires special licensing. 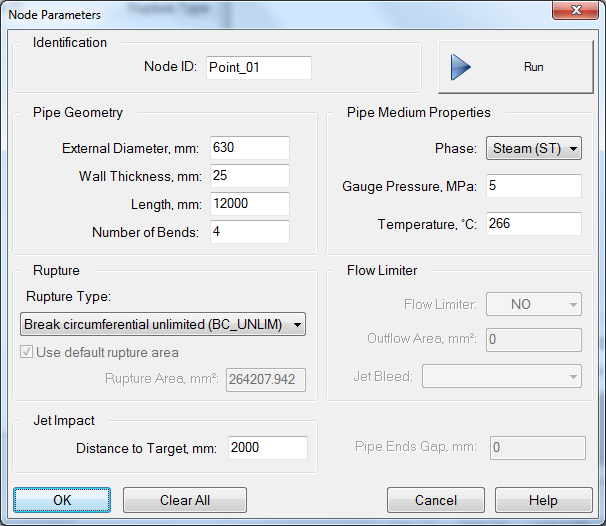 Since PNAE Codes do not contain a formula to determine general reduced membrane stresses (σ)1 in various piping elements, dPIPE offers an engineering assessment of such stresses: calculations are performed only for elements “straight pipe”, “bend” and “pipe reducer” in accordance with the formulae applied to stress group (σ)2 taking into account only internal pressure and axial force. 4. 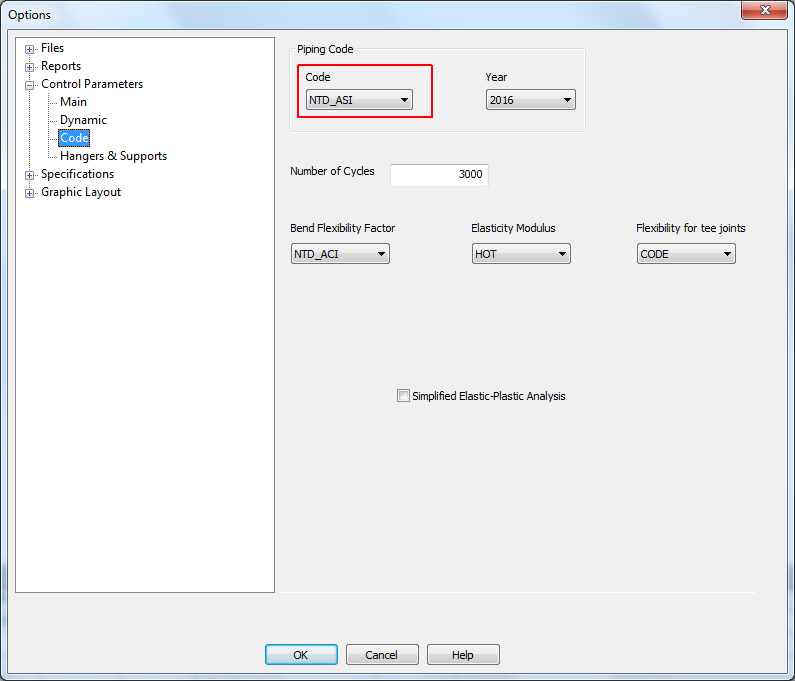 Command POST_REP now includes option ECOLD, which indicates cancellation of internal forces reduction to the “cold” (reference) elasticity modulus. When ECOLD = 'YES', the scaling of internal forces, which are used to determine stress ranges (amplitudes), to coefficient (Eref/Eh) is cancelled. The value of parameter E_MOD is hereby ignored. 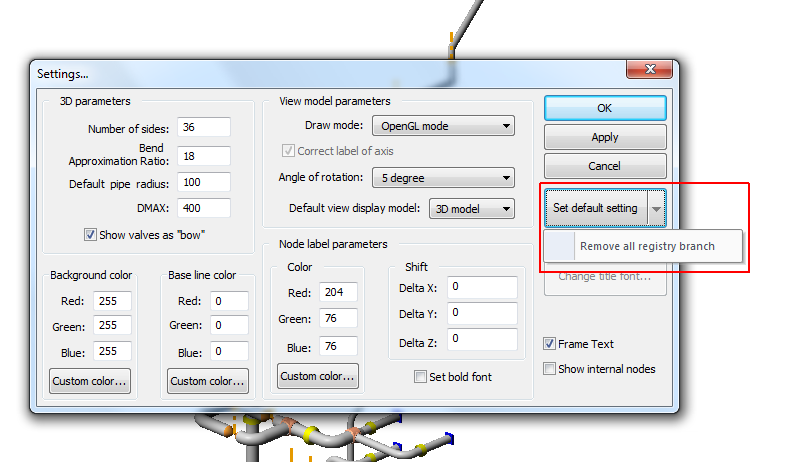 Parameter entry is available only in the text mode. 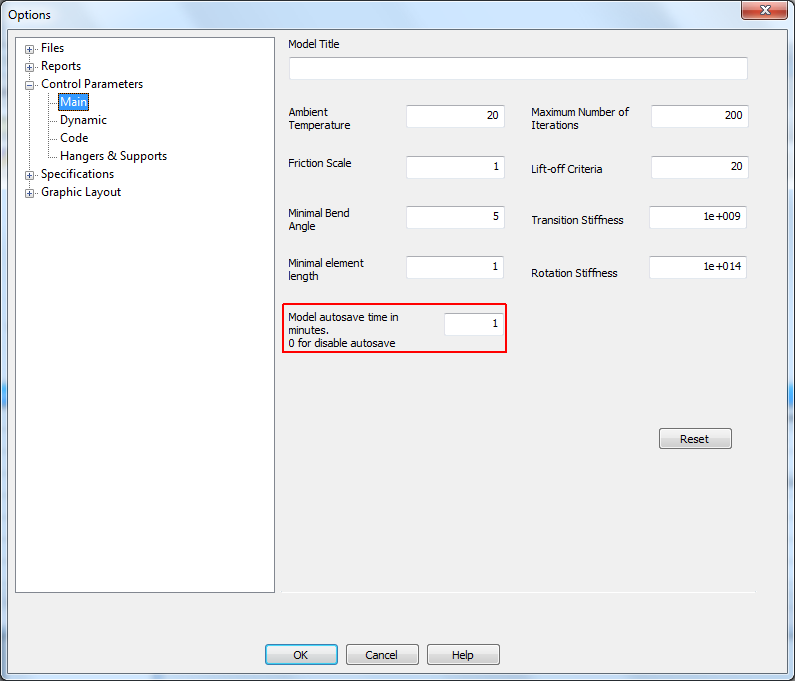 Parameter entry is available only in the text mode. 6. Procedure for fatigue analysis of tees has been adjusted in accordance with ASME NB-3600: summation of internal forces has been corrected taking into account reduction to the cold modulus. 7. 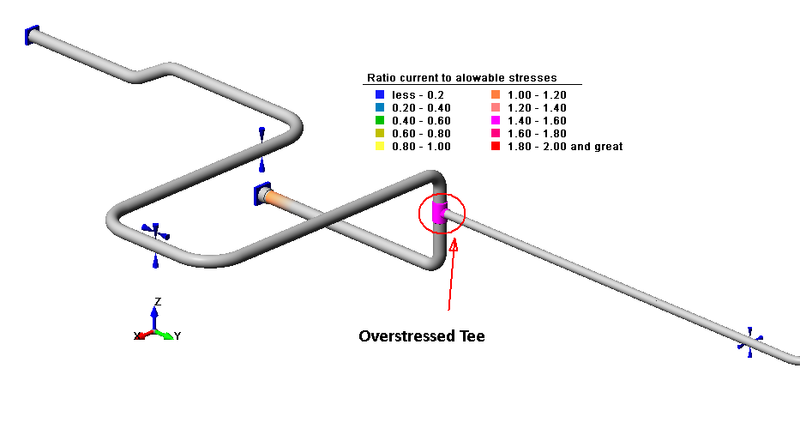 Determination of stress intensification factors has been corrected for tees in equations (10) and (11) in analyses according to ASME NC-3600 (1992). 8. 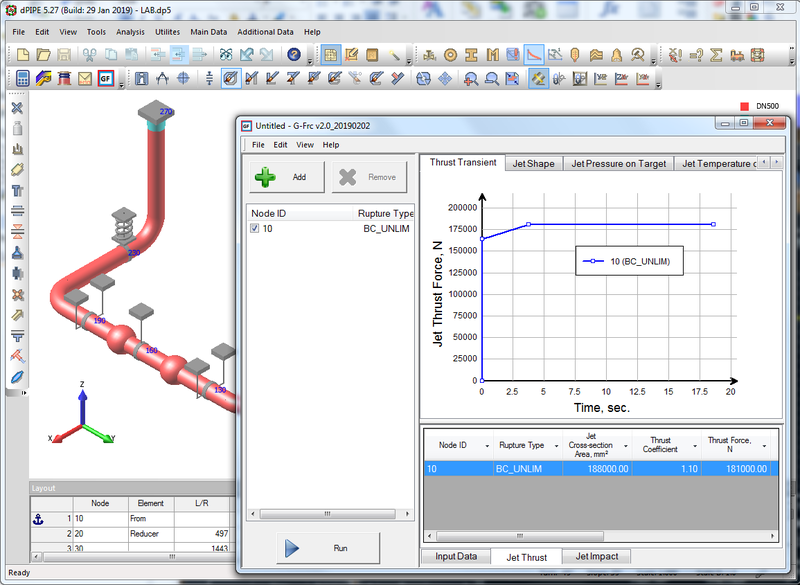 An error in stress calculation in a branch pipe connection has been corrected (Tee TYPE = ‘BRC’). 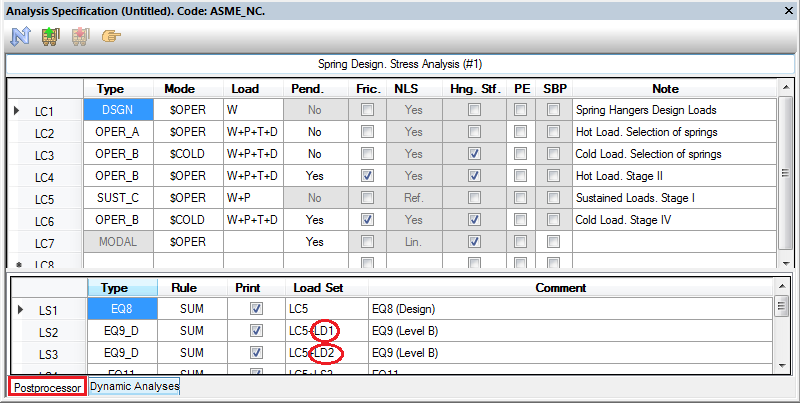 The error (overrated stresses) appeared only in calculations complying to EN Code or ASME NC (2010) Code. 9. 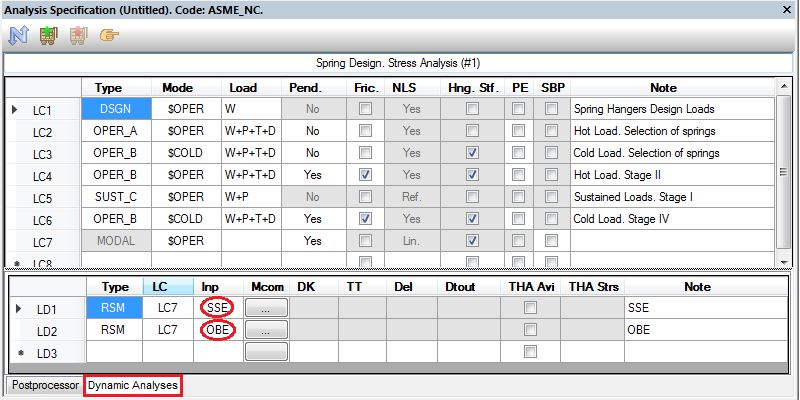 Calculation of nominal stresses for analyses complying to ASME NB-3600 has been adjusted. 10. 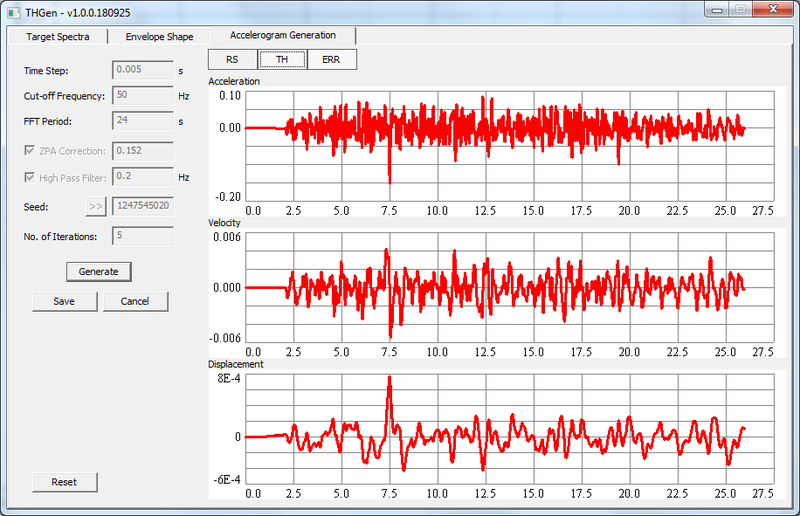 Calculation of stress amplitudes in accordance with ASME NB-3600, equation (11), has been adjusted. 5. 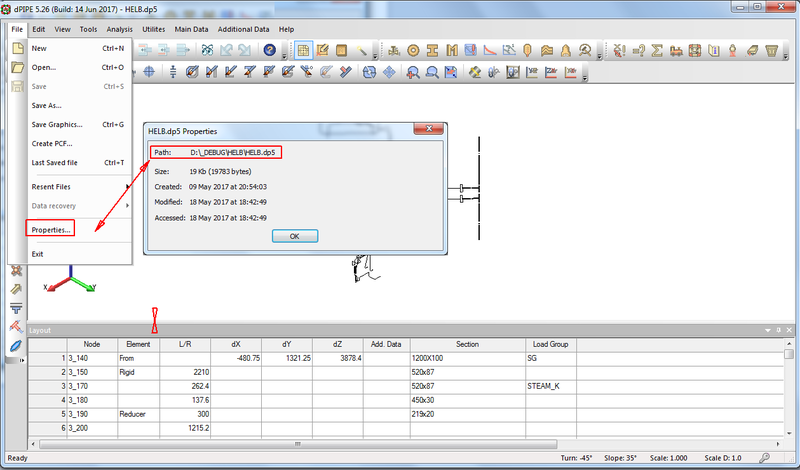 Item “Properties” has been added to the “File menu” allowing to access information on the input data file location. 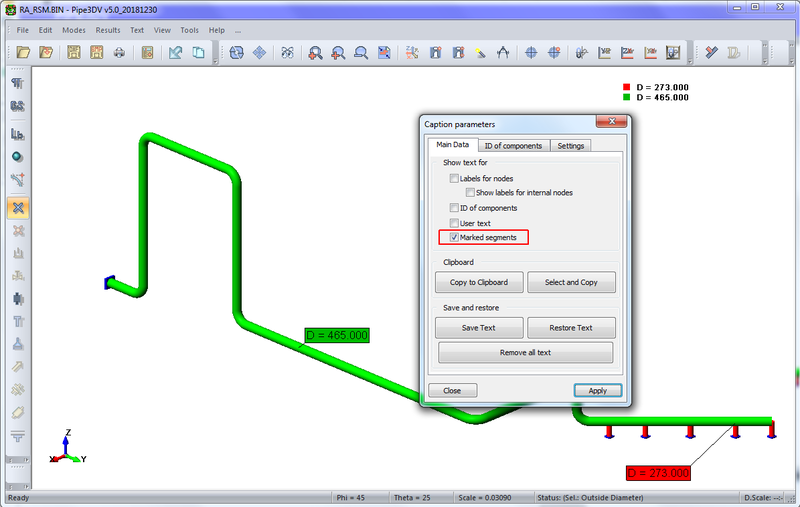 The path can be copied to the clipboard. 7. 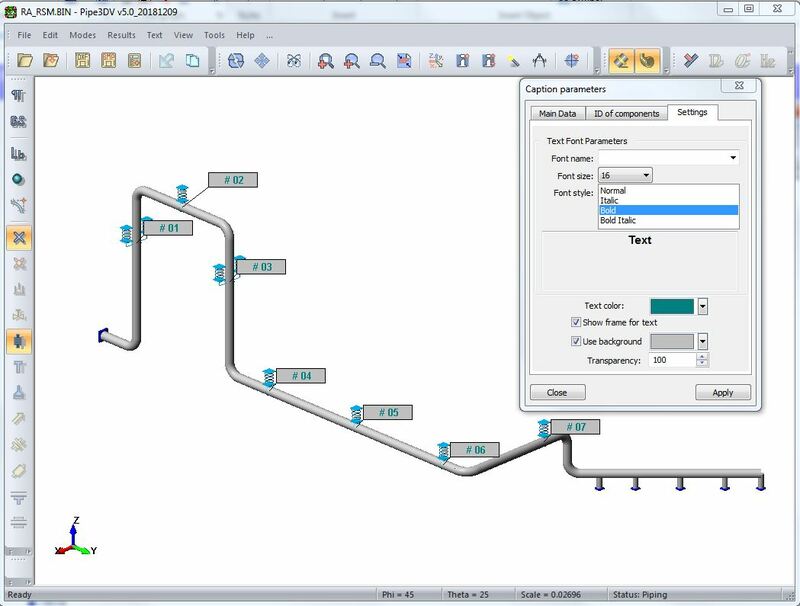 A drag and drop technology for transferring spectra/accelerograms from SINTEZ-M and CVSPEC utilities to dPIPE has been added. 8. 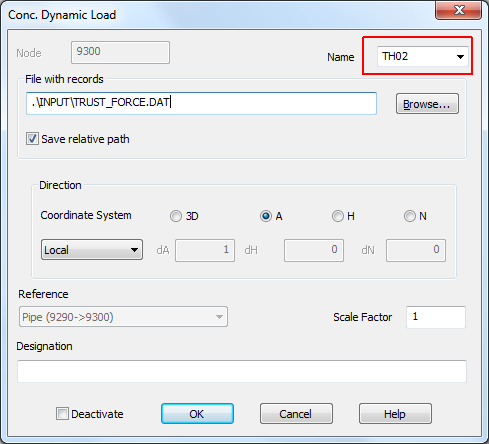 A drag and drop technology for transferring input data files in the dPIPE format from explorer to DDE has been added. 5. 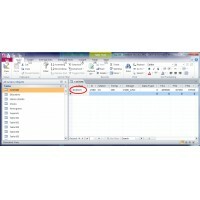 Features have been added when displaying element local axes. 6. 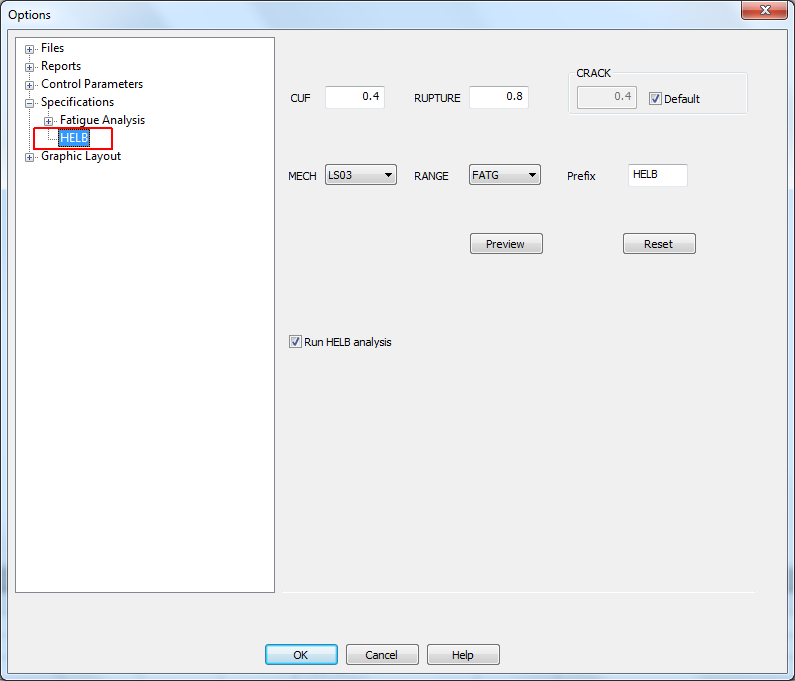 A reset option for default values has been added. 7. 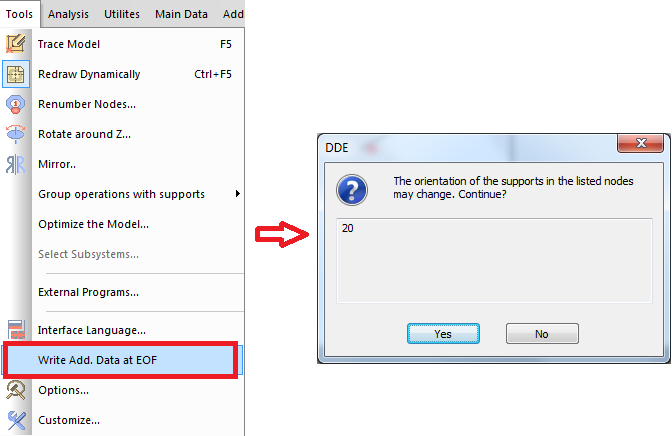 It is now possible to edit figure captions without accessing the respective dialogue. 1. 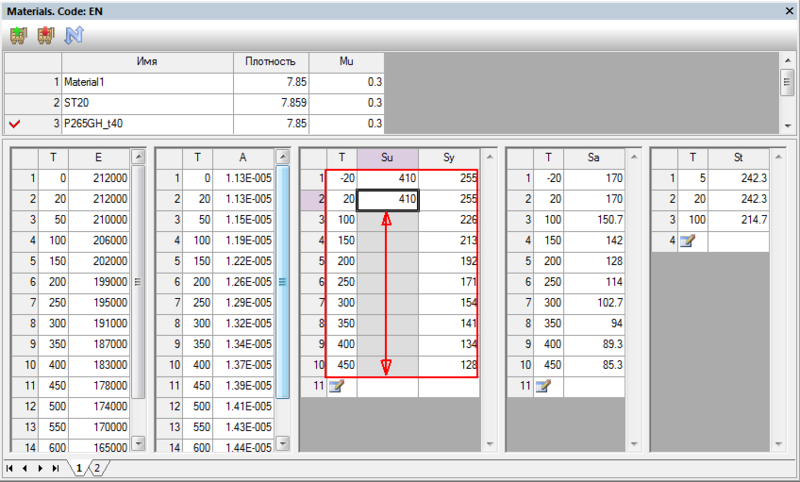 An option for reducing the number of points in the accelerogram has been added. 2. 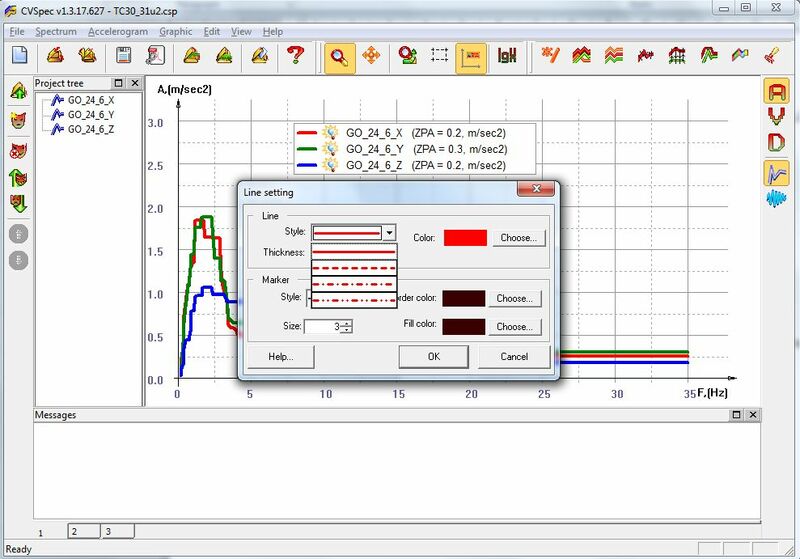 It is now possible to calculate time functions for displacements and velocities from accelerograms with a consequent application of a low-frequency filter. 3. An option to show ZPA (zero period acceleration) when displaying response spectra has been added. 4. It is now possible to save projects as XML files. 5. 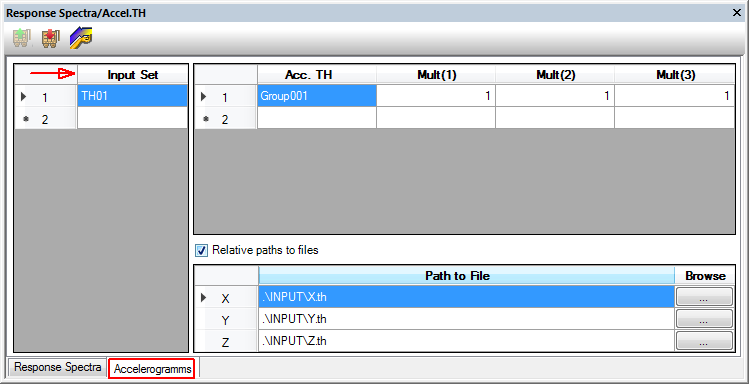 It is now possible to rename a group of files in the project entries (<CTRL>-<H>). 6. Dot-and-dash styles have been added to the line properties. 7. Project page templates have been added. 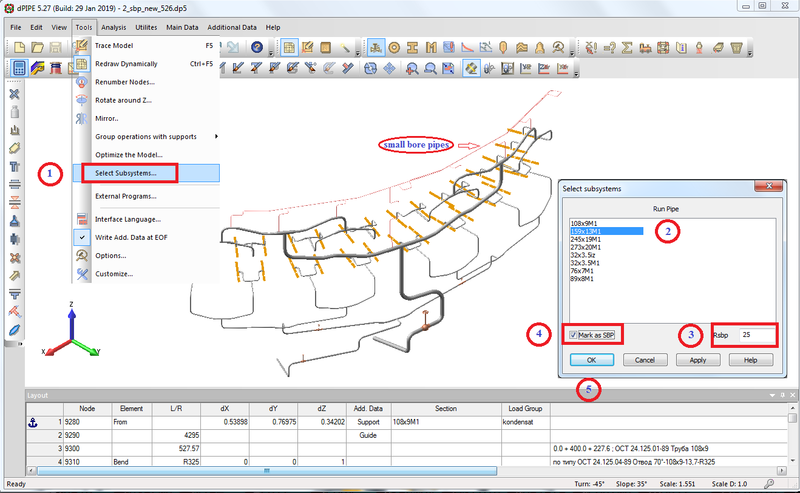 Line properties, legend location, axis parameters can be kept in such templates. 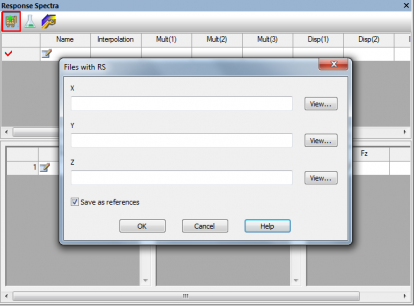 They can be either saved within the project or imported/exported through files. 8. 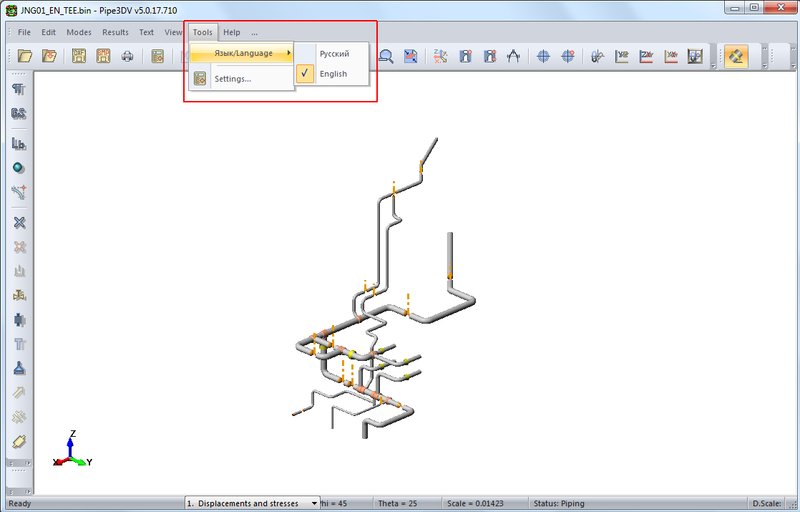 It is now possible to drag objects in between two projects. 9. A function of creating an automatic report based on the project has been added (for further details, see Help). 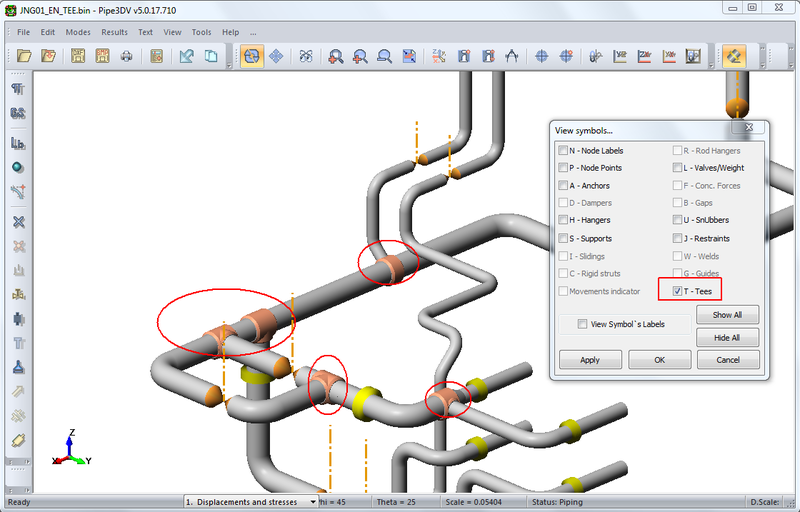 PIPE3DV: fixed a bug with visualization of concentrated forces. 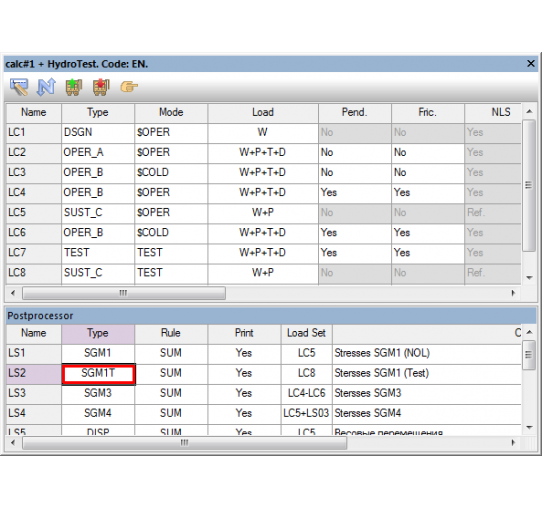 Described above options are applicable for the analyses performed according to the following Codes: «RD», «EN» and «PNAE_T». 7. 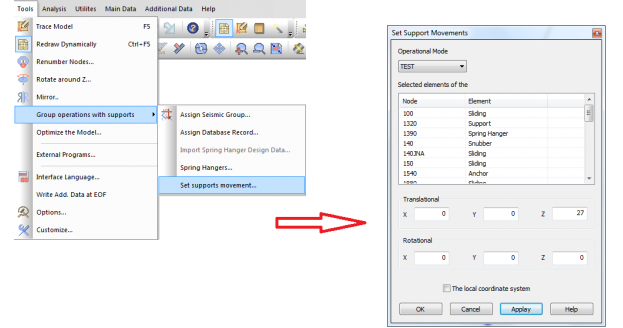 The error that caused the program failure during selection of supports to assign seismic groups has been fixed. 9. 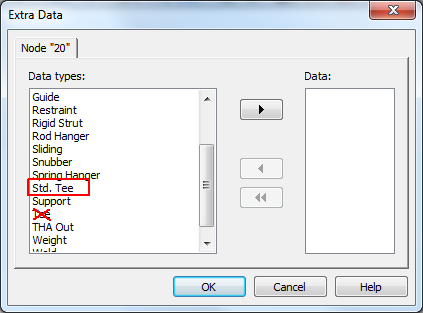 Loss of comments in the data for “standard” tees has been fixed. 10. 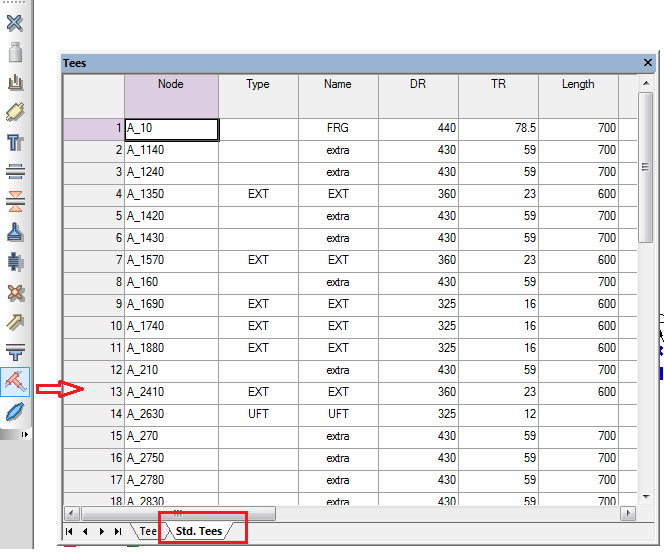 Time dependent data for the allowable stresses have been added in the file mat.dbs (section for CODE = ‘RD’). 11. 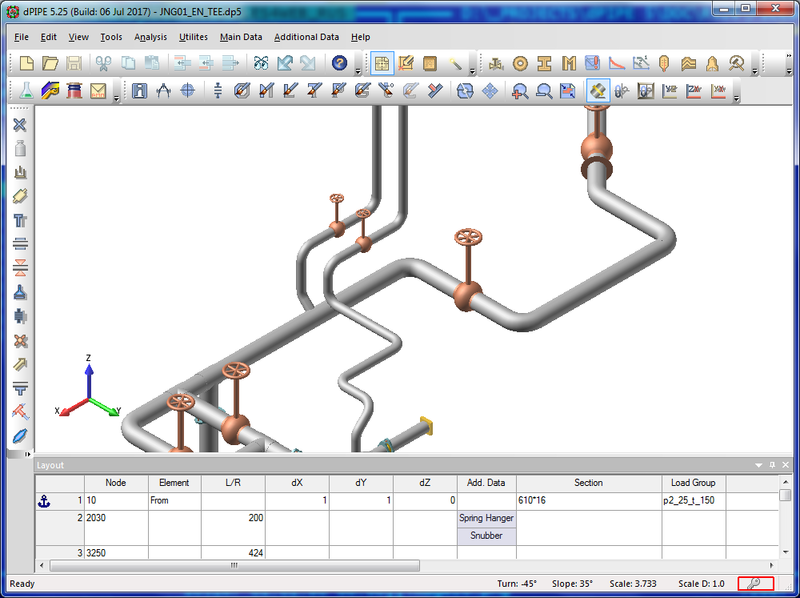 File "solv.dbs" has been complemented by specification for analysis of piping with low and high temperature parts (analysis according to Russian Boiler Code RD). 17. Fixed various bugs related to the program interface. 1. 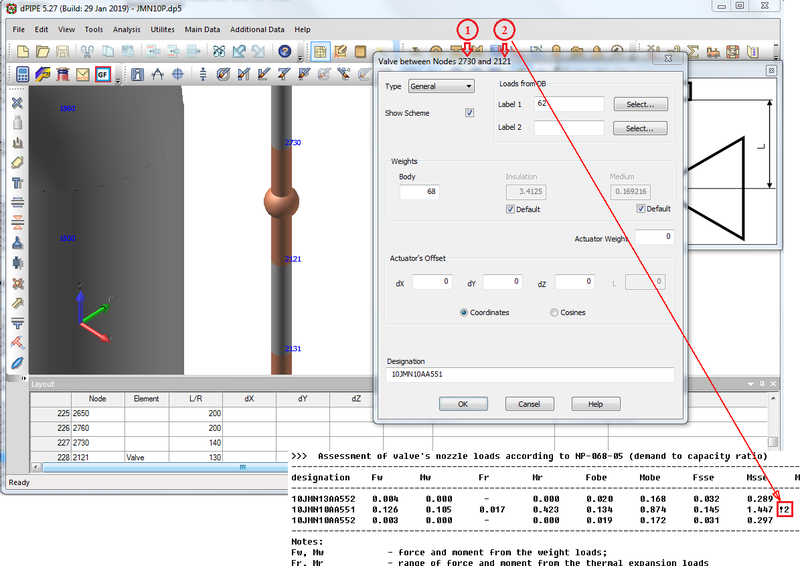 Processing of the parameters for the “standard tee” element has been fixed: in the previous release instead of references to the attached pipes there were references to the pipe sections used for modeling of RUN and BRANCH pipes (tee reinforcing). 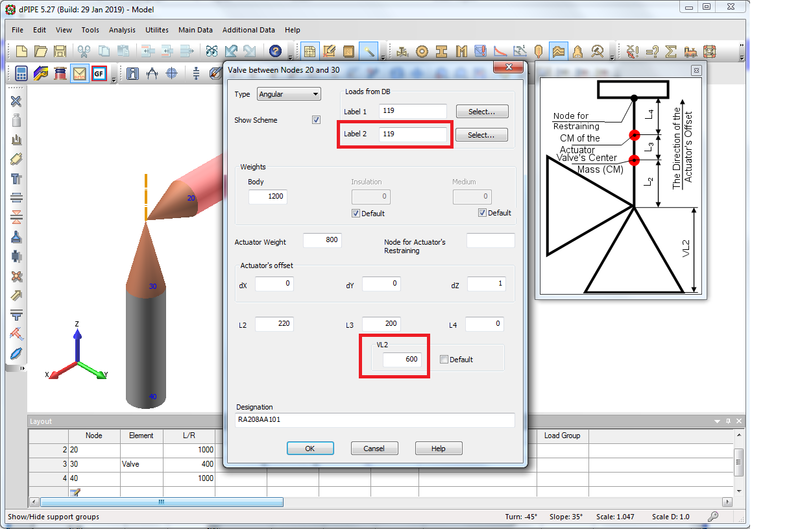 This inaccuracy could affect the results of calculations according to the codes ASME and EN, if the standard tees were used in the models. 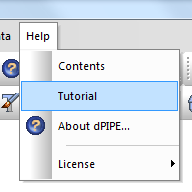 Since this version the procedure of dPIPE licensing has changed: we move to Sentinel software for software protection. That requires updating of existing HASP keys. 6. 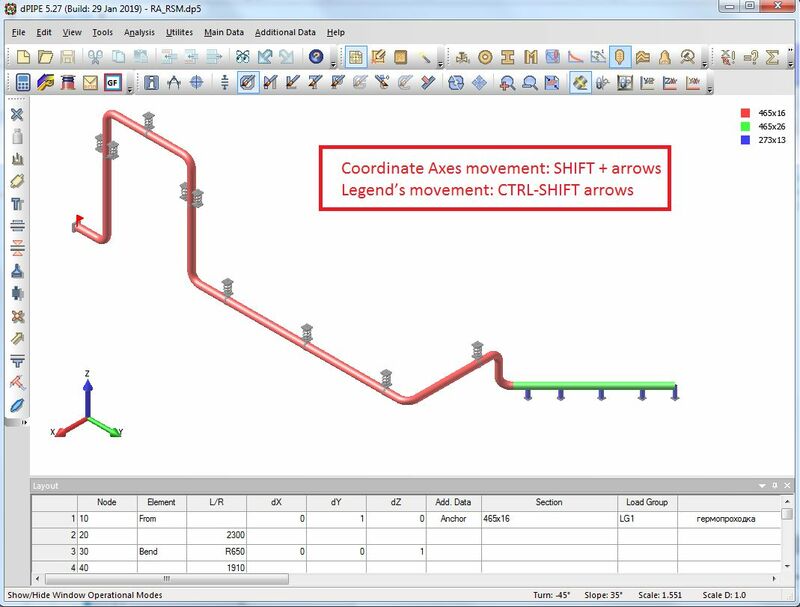 Functionality of Seismic Anchor Movement (SAM) accounting has extended: options added to extract SAM response from total seismic demand (see in HELP: RULE = ‘SAM’, POST section). 7. 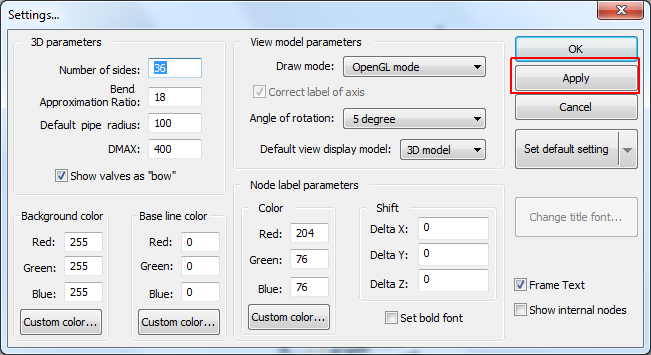 Algorithm for calculation model optimization has improved. 8. Changes relevant to 2012 Edition has implemented in European Norms (EN 13480 "Metallic Industrial Piping"). 1. 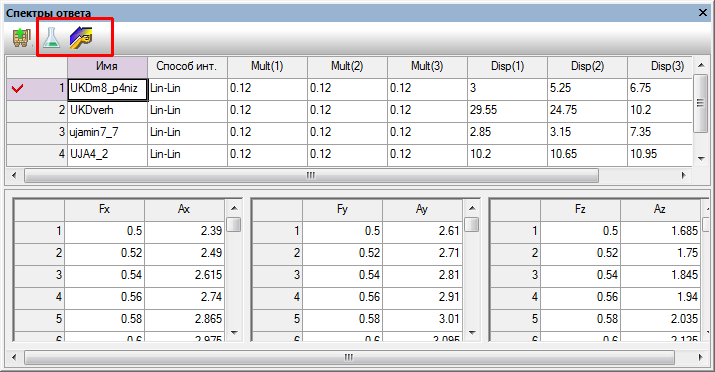 Printout of Cumulated Usage Factor for standard tees in models with option SKIP_STR has fixed. 3. 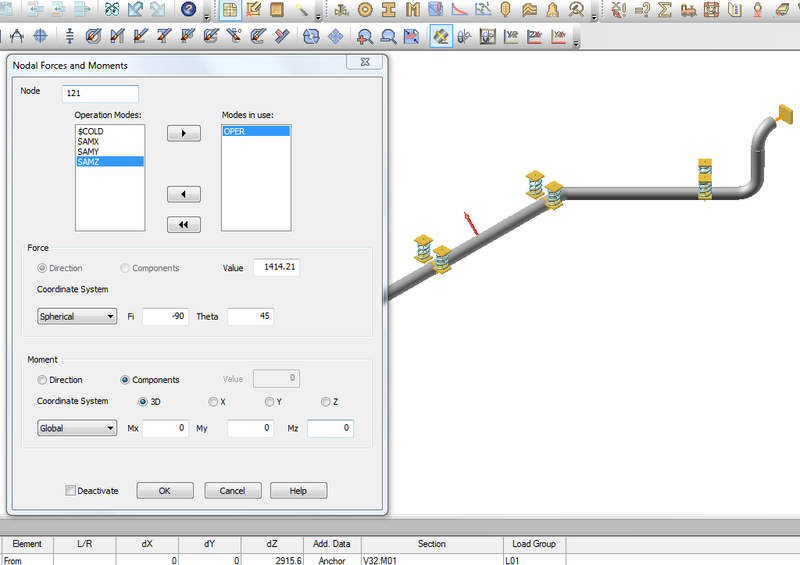 An option to save relative paths for files with data bases has implemented. 8. Исправлена ошибка, возникавшая при работе с жесткими стержнями (RIGID STRUT), проявлявшаяся при обращении к базе данных с допускаемыми нагрузками. 9. В диалог для импорта спектров ответа добавлена опция для сохранения данных в отдельных файлах в виде ссылок. 13. В синтаксисе команды POST стала доступна компактная запись ссылок на расчетные случаи/наборы нагрузок. Вместо цепочки ls = "LC2, LC3, LC4" можно записать: ls ="LC2:LC4"
17. В команду постпроцессора RES = ‘FORC’ (вывод внутренних усилий в элементах) добавлено правило RULE = ‘MAX’, позволяющее отыскивать максимальные по модулю компоненты из набора LC/LS. 3. В таблице DDE исправлена ошибка, связанная с «потерей» параметра TE для тройников с накладкой типа «RF_TEE» при расчете по нормам ASME_NC. & res = 'S2_MRZ', ls = "0*LC2+LC4", note = "Напряжения S2 (МРЗ)" ; LS4. Такая оценка полезна, чтобы оценить вклад «чистой» сейсмики в уровень общих напряжений. 6. В таблице DDE исправлена ошибка, возникавшая при редактировании номеров узлов дополнительных данных через диалог или таблицу: в этом случае данные не записывались в *.dp5 файл. Ошибка не проявлялась при выставленной опции "доп. данные в конце файла"
9. Внесены изменения в обработку результатов для подвесок постоянного усилия при выставленной опции REP_TYPE='ADVANCED': до внесения изменений программа выдавала предупреждения (мигающие подвески в PIPE3DV и восклицательные знаки в распечатке, файл *.SUP), если для подвесок постоянного усилия не задавались максимальная/минимальная нагрузки. Исправлен файл «sup_lds.mdb»: в нем выявлены неточности в величинах допускаемых нагрузок в таблицах «НП-068-05-ПЗ» и «НП-068-05-АР» для режимов «Вес+ПЗ» и «Вес+АР» соответственно. Исправленный файл в архиве выложен тут. После загрузки файл следует переписать в папку установки программы во вложенную папку “DB”. 1. Добавлен новый тип данных, связанный с узлом расчетной модели: "стандартный" тройник. При использовании этого элемента программа автоматически добавляет в расчетную модель внутренние элементы и узлы, позволяющие более точно определять весовые и геометрические характеристики тройниковых узлов. 2. Добавлена возможность учета локальной податливости тройниковых соединений. Реализованы как автоматическое вычисление коэффициентов податливости, так и их пользовательский ввод (рассматривается податливость на изгиб (в плоскости и из плоскости тройника), осевой податливости штуцера и его податливости на кручение). Указанные возможности реализованы при работе с новым типом дополнительных данных: "стандартными" тройниками. 9. В программе PIPE3DV откорректировано отображение подвески с 2-мя пружинами при вертикальном сдвиге. 10. PIPE3DV: существенно улучшена работа с текстом для оформления рисунков расчетных моделей. 12. Обновлен формат и содержание баз данных по деталям трубопроводов для расчетов по нормам ПНАЭ и РД (файл pipe.dbs). Добавлены данные для тройниковых соединений. 15. В рамках расчета по методу динамического анализа (DYN = 'THA') по команде TH_OUT type = 'DSP' помимо печати перемещений реализована печать углов поворота. 2. Исправлена путаница с коэффициентами интенсификации напряжений (SI) и параметрами тройников при расчетах по ASME. В отличие от уже существующих в ПК однокомпонентных опор, жесткий стержень позволяет учесть маятниковый эффект при больших перемещениях и углах поворота (учет "геометрической нелинейности"). Подробное описание нового элементов приведено в файле-справке (команда STRT). 4. добавлен новый тип расчета для режима гидроиспытаний, проводимых в процессе эксплуатации трубопровода (TEST_B): расчет позволяет «заклинить» часть упругих подвесок в холодном состоянии с учетом статуса всей ОПС трубопровода. 3) СТО 79814898 "Опоры станционных трубопроводов атомных станций на давление до 4,0 МПа"
Кроме вышеперечисленных таблиц база данных содержит таблицу "CUSTOM", в которую Пользователь может самостоятельно вносить допускаемые нагрузки на опоры или патрубки оборудования. Подробности см. в файле-справке. Изменения в интерфейсе таблицы DDE. 31. При расчетах по нормам ASME BPVC в листинге исходных данных введена печать допускаемых напряжений SH/SM, вычисляемых программой по величинам предела текучести и временного сопротивления. 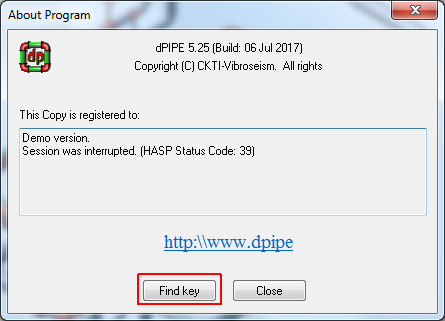 Для работы dPIPE версии 5.23 и выше требуется среда выполнения .NET Framework версии 4 или более поздней версии1). Если это ПО не установлено на компьютере, то при наличии подключения к Интернету, .NET Framework 4 будет установлен автоматически c сайта Microsoft.com во время установки dPIPE. Если подключение к Интернету отсутсвует, то перед установкой dPIPE следует установить .NET Framework 4 самостоятельно. .NET Framework 4 является бесплатным программным обеспечением. Программу-установщик можно скачать по адресу: http://www.microsoft.com/ru-ru/download/details.aspx?id=24872. 1. Откройте меню Старт (Start) выберите Выполнить (Run). 2. В текстовом поле Открыть (Open) введите regedit.exe. Исправлена ошибка обработки моделей, полученных с помощью конвертации данных и содержащих изменение в направлениях для прямых труб меньше 0.01 град. Исправлена некорректная печать заголовков таблиц в распечатках исходных данных и результатов расчетов при общем числе таблиц больше 999 и/или наборов результатов (LS) больше 99. 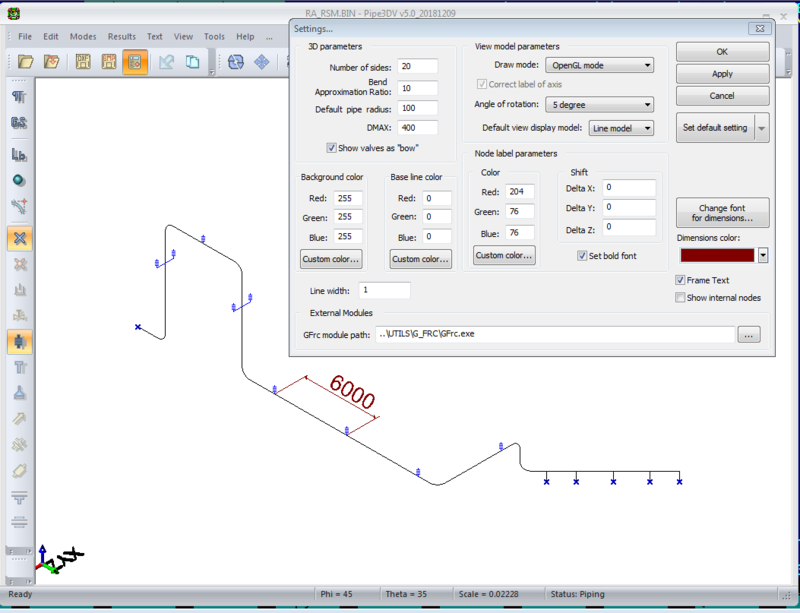 Для норм ASME_NB добавлены напряжения EQ9_DC - уравнение 9 для "Design Conditions"
Для норм ASME_NB добавлены напряжения EQ10, EQ12, EQ13 в основную часть расчета. Уравнения (11) и (14) реализованы только в рамках расчета циклической прочности. В файле SOLV.DBS исправлены задания для расчетов № 1, 2 и № 8 для в.т. трубопроводов ПНАЭ (CODE = 'PNAE_HT'). В расчетах №1, 2 была некорректная ссылка для вычисления нагрузок на опоры с учетом релаксации и саморастяжки, В расчете № 8 - дважды вычислялись напряжения SRK. Исправлена отрисовка геометрических связей при частичном отображении модели. Исправлена ошибка, возникавшая при копировании через графический интерфейс части модели, содержащей элемент REDU. SOLV "Расчет с определением рабочих нагрузок и выбором пружин (#1)"
Исправлена работа кнопки "сброс" в диалоге "Опции/Файлы"
Исправлено задание скользяще-направляющей опоры под корпусом арматуры: ошибка возникала при задании отрицательной величины смещения в корпусе арматуры. При значении параметра REP_TYPE='SPBAEP' (меню "Сервис/Опции", закладка "Отчеты/Распечатка результатов") в сводной таблице для опор Lisega "Характеристики пружинных опор и подвесок (для монтажа)" (файл *.SUP) теперь выводится общая нагрузка на всю опору, а не на отдельную пружину. Изменена обработка внутренних усилий для оценки арматуры по ОТТ при расчете МДА (теперь максимальный суммарный момент определяется на каждом шаге интегрирования). Добавлена возможность перенумерации, вращения и зеркального отображения выделенной части трубопровода. Исправлена ошибка, возникавшая при задании узла для раскрепления привода трубопроводной арматуры. Во всех таблицах DDE появилась возможность копирования содержимого в буфер обмена. Для этого следует поместить курсор в поле таблицы и выполнить команду "Копирование" из меню "Правка", либо использовать сочетание клавиш "Ctrl-C". После этого содержимое можно перенести, например, в электронную таблицу EXCEL. В "Основные данные" добавлена общая таблица "Трубопроводная арматура"
Копирование, вставка, изменение и удаление участков трубопроводов. • при удержании клавиши CTRL выбранные элементы добавляются/исключаются из набора, отмеченного до этого. Операция выборки может прерываться на любые другие операции, связанные с навигацией по таблице, а после повторного нажатия на кнопку возобновляться. ► Удалять выбранные элементы и зафиксировать модель: при этом общая геометрия остается неизменной. Указанный список операций доступен либо из контекстного меню мыши, либо через пункт меню "Правка/Изменить"
Следует иметь в виду, что в скопированный участок попадают только те данные, которые отображаются в момент копирования. При этом сейсмические группы опор и данные, связанные с режимами работы трубопровода (например, предопределенные смещения опор и сосредоточенные нагрузки) не копируются. Подробное описание новых элементов приведено в файле-справке. Пустые строки и строки, начинающиеся со знака точка-запятая ";" программой интерпретируются как комментарий. Для "стандартных" расчетов рекомендуемые команды внесены в файл solv.dbs. При наличии в расчете сейсмической нагрузки на печать дополнительно выводятся горизонтальное и вертикальное ускорение центра масс корпуса арматуры и горизонтальное ускорение центра масс привода арматуры, которые сравниваются с величинами 3g в горизонтальном направлении и 2g в вертикальном направлении для корпуса арматуры и 8g в горизонтальном направлении для центра масс привода арматуры. 1. Исправлен вывод информации о максимальных нагрузках на жесткие подвески (файл <имя задачи>.res, таблица "Максимальные нагрузки на опоры" в разделе "СВОДНЫЕ ТАБЛИЦЫ ПО РЕЗУЛЬТАТАМ РАСЧЕТА"
2. Во время текущего сеанса работы программа создает резервную копию исходных данных (файл <имя задачи>.dp5.save записывается в рабочую папку). Файлсодержит данные до последнего сохранения . 3. Исправлена ошибка, возникавшая при повороте трубопровода вокруг глобальной оси Оz: направления действия амортизаторов оставались неизменными. 4. Исправлен ввод перемещений для опор в общих таблицах: в предыдущей версии эта функция работала некорректно. 5. Исправлен вывод на печать угла поворота "ALPHA" для пружинных опор в сводных таблицах: в предыдущей версии при заданном коэффициенте трения для упругой опоры в этой графе вместо нуля печатались неверные данные. 6. Исправлена некорректная работа программы после выведения компьютера из режима "Сна" или "Гибернации"
8. При вызове таблиц с дополнительными данными автоматически включаются соответствующие символы в графическом окне. 9. Видоизменен диалог "Опции - Контрольные параметры - Динамические": набор необходимых для ввода данных становится доступен в зависимости от выбранного метода расчета. 3. 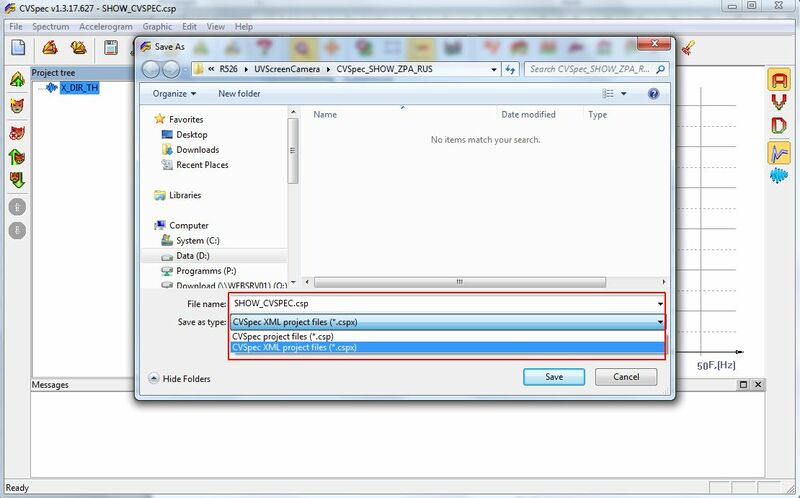 Исправлена работа текущей версии программы (dPIPE 5.21) под операционной системой WINDOWS 2000. Изменение в интерфейсе таблицы DDE и задании исходных данных. 1. Нажать на кнопку "Выделить"
► изменено отображение в 3D гидроамортизаторов и однокомпонентных опор, расположенных вдоль оси трубопровода: для наглядности они "выносятся" за диаметр трубы. Откорректирована программа-просмотрщик текстовых файлов с результатми расчетов WorkPad для корректной работы с большими файлами (25.08.2010). POST: Исправлена процедура записи файлов с временными зависимостями ответных параметров (при расчете по МДА): в версии 5.2 при запуске программы в пакетном режиме файлы записывались в установочный каталог программы. Теперь запись этих файлов производится в папку с расчетной моделью. В синтаксисе языка это соответствует значению TH_STRS = 'FAST' в команде CTRL. исправлено вычисление напряжений (σaF)K при оценке накопленной повреждаемости (напряжения не уменьшались на отношение реферативного модуля упругости к рабочему). Ошибка появилась в версии от 25.09.2009. ► исправлена процедура перевода нагрузок из одной системы координат в другую (глобальная - локальная; локальная - глобальная) при расчете на сейсмику: в предыдущих версиях программа выполняла преобразование координат, основываясь на результирующей нагрузке, вычисленной для той системы координат, в которой задавалась опора. В новой версии операция преобразования координат производится для каждой формы колебаний. >>> Таблица 13. Деформации компенсаторов. "Для <элемента> в узле <узел> размер меньше минимально допустимого." добавлена возможность выполнения расчетов по нормам ASME B31.1 "Power Piping" (CODE = 'ASME_B311'), введены соответствующие контрольные параметры и типы результатов расчета. DDE: изменен интерфейс панели инструментов для работы с таблицей. Модифицированы диалоги для ввода ИД, зависящих от используемых норм расчета на прочность: "контрольные параметры", "нормы расчета", "материалы", "сечения труб", "сварной шов"; пункт меню "Окно" заменен двумя пунктами: "Основные данные" и "Доп. 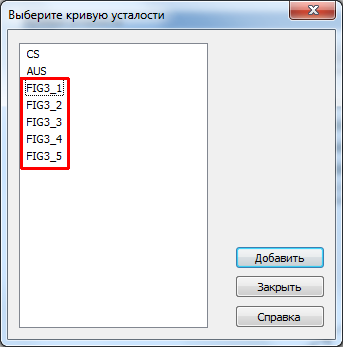 данные"
и в расчете будет принято NC1 = 1. PST_FMT.DBS: в таблице "Индивидуальная оценка расчетного числа циклов" изменен заголовок: обозначение "FS = NC1/NC" исправлено на "FS = NC/NC1"
SOLV.DBS: 1) исправлен заголовок команды SOLV для в.т. трубопроводов, Расчет#2 + ГИ (CODE = RD) (в предыдущей версии файла заголовок был слишком длинный, что приводило к ошибке при чтении из базы данных); 2) в заданиях на расчет, включающих режим ГИ (CODE = "RD"), изменена ссылка на режим для случая LC5: было: MOD='$OPER', стало: MOD='TEST'. Для норм "РД" добавлены напряжения категории S_H для первого этапа расчета при режиме гидроиспытаний. Добавлены соответствующие наборы стандартных заданий на расчет в файл SOLV.dbs. При их использовании подразумевается, что режим, соответствующий гидроиспытаниям имеет имя "TEST" (команда OPVAL). Подробности см. в справке (dPIPE_5.chm). DDE: в программе добавлен английский интерфейс. В меню "Сервис" появился переключатель рус\англ. языка. В файле DDE.INI добавилась строка "LangID=XXXX", где XXXX=1033 - английский интерфейс, XXXX = 1049 - русский. При отсутствии этой строки программа стартует с языком, выставленным по умолчанию в WINDOWS. POST: в файл <имя задачи>.sup добавлена печать сводных таблиц для элементов типа FLEX ("мембрана", команда FJ). Для каждого такого элемента распечатывается отдельная табличка, содержащая локальные внутренние усилия для всех наборов результатов с внутренними усилиями (команда "POST", подкоманда "LS:", параметр RES = 'FORC'). Следует иметь в виду, что локальные внутренние усилия в элементе "мембрана" выводятся с учетом угла поворота BETA относительно оси элемента. исправлена печать перемещений в однокомпонентных опорах, заданных в глобальной системе координат. В файле *.res перемещения в этих опорах печатались неверно. введена возможность альтернативного задания допускаемых напряжений для расчетов на сейсмику по РД (команда MAT, параметр SOL). добавлена возможность поворота всей модели относительно оси Z (Меню "Сервис - Повернуть вокруг Z...). добавлена возможность зеркального отображения модели относительно плоскостей XOZ или YOZ (Меню "Сервис - Зеркально отобразить..).